'm pretty sure that I've mentioned that already more then once but I'm going to do that again. Sometimes a pure coincident decides about what gets reviewed. In this particular case coincident happened thanks to one of the popular social networking services (the one who's name starts with “F” and which is supposed to be passé already). I'm not really a person who is particularly active in the Internet but in this particular case being a member of many audiophile groups gives me access to a continuous stream of (often useless) information and news from audiophile world that I wouldn't otherwise have time to look for in many different places. Few months ago one of such information caught my eye because of two things. First of all it referred to supposingly very interesting Japanese audio manufacturer I'd never heard of before. Secondly this Japanese company had a representative for international trade in Hong Kong. That got me wondering – a Japanese company with Chinese representative? So was it a Japanese company manufacturing their products in China? That was enough for me to do some research about the brand and to start a discussion with a guy, European distributor, who delivered this particular news that caught my eye. This man – Jani Leppälammi – turned out to be a nice and helpful guy who eagerly gave me every explanation I required. You might have figured that already judging by his name – Jani is from Finland and his company called Nippon HiFi is a SoulNote's European sole distributor. As he explained most SoulNote's products are made in Japan )accept for an entry level line), and a representative in Hong Kong is just a sign our times. After a little talk Jani offered to deliver some product for a review and I, intrigued by the whole story, accepted. I have to admit that I didn't really study SoulNote's portfolio that much as I didn't know which product would be available for review. So I just waited patiently for whatever was coming. 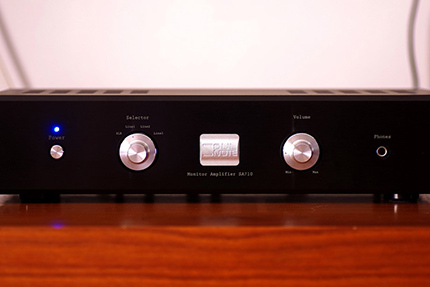 Finally, one day I received information that an integrated amplifier, SA 710, was heading my way. Information came when I was really busy so I did not even check any information about this particular model. When a courier brought me surprisingly small and light parcel I started to wonder what exactly I got myself into? Some D class amp review? Amp was really small and 6 kg didn't impress me either. I couldn't help but wonder how such a „baby amp” could sound like?! It was already there so I unpacked it. The first impression was pretty good – make and finish seemed to be of more than decent quality. Not a potential beauty pageant winner but considering it's price (I already knew it) a truly nice contender. Maybe the back panel wasn't that impressive as I'd already got used to while reviewing other products similarly priced (vide recently reviewed Teddy Pardo's set) as they'd sported high quality WBT RCA sockets. The ones used for SoulNote surely weren't of that class but looked solid enough to do the job. A thing that might be improved – spaces between RCA inputs could be bigger – now they are quite close to each other which means using larger RCA jacks might be a problem (at least if you use all 3 inputs). Anyway in my opinion advantages outweighed these small flaws – there are 3 RCA inputs, a XLR one, 2 pre-outs, headphone (large jack) output, very nice speakers bindings, an a switchable gain (for speaker outputs) – nothing to complain considering the price of the device, maybe even more than expected. OK, a remote would be a nice addition, but I can live without it and without complaining about it. After having a first close look I did something I usually avoided to do – I plugged SA710 to my system (with Alter Ardento 1 speakers) and started to listen to it before I checked out a manual. Music started to flow and my jaw started dropping towards the floor... - what the heck?! - I thought to myself – is that really an amp for 1800 EUR (well, today when Nippon HiFi is switching from direct sales to building an European distribution network it's actually 2200 EUR – still more than fair)? What a nice slam! Music kept going and I finally found a manual in an email from Jani (maybe if I'd got a hard copy with amp I would have read it before listening session) and... another surprise. 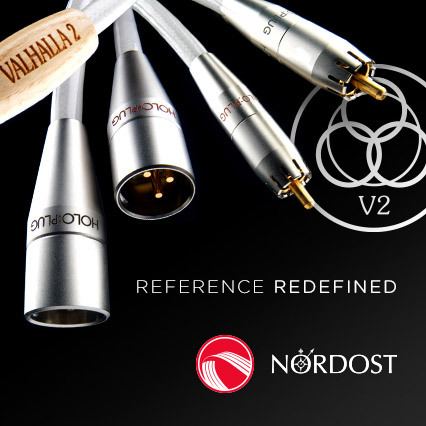 Manual clearly states: „use with speakers with at least 8Ω loading. Using SA710 with lower loading might result in audible distortions to the sound”. For those who don't remember, or simply don't know – Alter 1 speakers have a nominal impedance of 4Ω. So where the heck are these distortions?!! - I thought again. SoulNote simply rocked with Alters and it obviously didn't care at all about their „too low” impedance. OK, so lets check what's the power output? I guess at least 40-50W? I found a specification and it read... 2 x 10 W. WTH?! (to be clear, I meant „What The Hell?” ;-)). One of the rules one should follow in audio world says: follow suggestions of your system/devices manufacturer, he usually knows better, unless of course reality proves otherwise. And this was a classic case – this tiny Japanese buddy drove huge Ardento speakers with an ease and I truly liked what I heard so I kept them is the system. One more thing that I found in the manual – it said that manufacturer offered some sort or feet for this amp that should really make a difference in the sound. These were not included in the package I received – as Jani explained they got lost somewhere as the amp visited already some reviewers and potential customers. He offered to send me a set but I decided that I would go with my trusted Franc Accessories Ceramic Slim Discs – these never failed me before and I found out soon enough that they would work perfectly also this time. Let me get back for a second to the matter I haven't really covered so far. I don't know about you but for me a SoulNote brand is something new, I don't think I've ever heard about it before. I can't even tell you the Japanese address of the company as it is given on their webpage only using Japanese alphabet. But if you want to have a look at the company I suggest you go to this link HERE, for a short factory tour. It gives an impression that SoulNote is quite a big company. Jani sent me a history of the company that shed some light on where they came from. 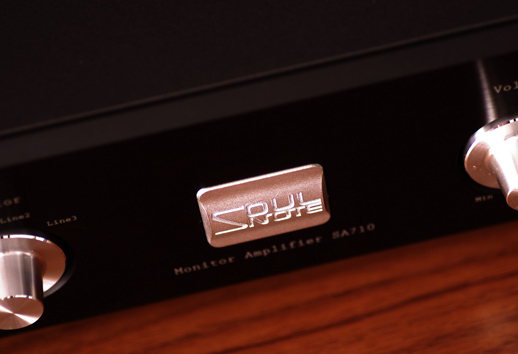 It seems that SoulNote brand hasn't been that long on the market, just since 2008 when the first integrated amplifier with SoulNote logo hit the market. The “father” of the brand is Mr Nakazawa, today a president of the CSR group, owner of SoulNote brand. That's the man who brought a lot of experience and knowledge to this company as he's been in audio business for much, much longer. He designed audio devices already in analogue times – tape recorders for example. Later he was a part of the team that designed some world's first devices like, for example, a two box CD Player with separate transport and DAC – the Philips LHH1000, first bitstream CD Player (LHH500), first non-NFB player (LHH800R). Long story short - Mr Nakazawa participated in many pioneering projects in audio industry. If nothing else that is a very strong argument to give devices that were designed by him, or his engineering team, a credit of trust. When reading materials sent by Jani two more things attracted my attention. First of them was information claiming that all SoulNote's designers were also musicians – who knows better how a live music sound like if not them? The other thing was company's slogan that read: „Sound resonating to the Soul”. That spoke to me strongly as I was just a guy who loves music, not the equipment that reproduced it, so I always expected most of all to be touched by what I could hear from reviewed products. I accepted this slogan as a promise from SoulNote. There was only one thing left to do – check out if SoulNote kept up their promise. Aerosmith, Pump, Geffen Records, FLAC. Al di Meola, John McLaughlin, Paco de Lucia, Friday night in San Francisco, Philips 800 047-2, CD/FLAC. Arne Domnerus, Jazz at the Pawnshop, FIM XRCD 012-013, XRCD/FLAC. Cassandra Wilson, New Moon Daughter, Blue Note CDP 7243 8 37183 2 0, CD/FLAC. Guns N' Roses, Use Your Illusion 2, Geffen Records B000000OSG, CD/FLAC. Mozart, Le Nozze di Figaro, Harmonia Mundi HMC 901818.20, CD/FLAC. Patricia Barber, Companion, Blue Note/Premonition 7243 5 22963 2 3, CD/FLAC. To be honest I don't really remember what exactly was this first album I played that impressed me so much – it was something with leading bass guitar so most likely one of Marcus Miller's recordings. So after realizing what kind of amplifier I was dealing with, knowing I hooked up “wrong” speakers but being still under huge impression of this first record, I decided to play AC/DC's Back in Black (from a FLAC file). A small digression – just a few days before SoulNote arrived I'd received two small devices that I was personally interested in to check out if and how would they upgrade my PC used as a main digital source for my system. One of them was a JPLAY USB card, and the other was a battery power supply for it – a Bakoon BPS-02 (that was recommended to me by Marcin Ostapowicz himself, as he used two of these in his own system – one for card, one for a system SSD). I was waiting for both of them for a while impatiently, as in my opinion USB cables didn't make that much of a difference, but a USB card with this PS was supposed to really positively affect the sound. When both devices arrived I faced a little problem – there was no proper cable to connect them. I realized quickly that buying proper cable was simply impossible – nobody offered what I needed so I was faced with two options – I could do one myself (and I knew very well it was a bad idea) or to find a professional who could do it for me. Some of you might heard of company called Tomanek. They manufacture a lot of different power supplies (for musical instruments but also for D/A converters), power cables, power distributors and so on. It took me exchanging two emails with them and the very next day a courier knocked on my door bringing a small parcel with two very nicely made and looking cables that cost me less than shipment. That's the kind of customer service I'm talking about! Anyway – a day before SoulNote arrived I finally installed JPlay card with Bakoon PS in my AudioPC using Tomanek's cable and... I guess many of you experienced something like that before. You know and love your system very much, and than one day you try some small upgrade (I'm not talking about anything major like speakers or amp), and already during first piece of played music you get all bananas? You thought your system sounded so good, and it got so much better after this small upgrade. Yup, I thought my dedicated Audio PC was already a very good source of digital system for my amazingly good Bada Alpha converter. But improvement in performance was clear as a day – comparable to changing a source for something from a higher class. No USB cable I had a chance to check in my system has ever introduced such a clearly positive improvement of performance. And some of them could easily pay for JPLAY and Bakoon together. Why mentioning it here? First of all it was an interesting experience for me I wanted to share with you – before you spent some hilarious money on USB cables check first if you can improve the signal from your computer – there is more to gain there. Secondly I wanted you to realize that when I started to listen to SoulNote I was already in “bananas phase” so it wasn't easy to impress me even more. But this small Japanese amp managed to achieve that and that said a lot!. Back to AC/DC – I decided that if SoulNote could play that kind of music it would play anything. Obviously it was not some sophisticated music, but to sound well it required proper rhythm, power, dynamics – elements that many wouldn't expect from a 10W amplifier, right? But as it turned out all SA710 needed were easy to drive (even if not recommended 4Ω loading) speakers to rock the party. Seriously! Well, at least in a mid-size room, but when I opened windows many neighbors enjoyed the party too. I had a few much more powerful amps here that were not able to do the same, meaning to offer that much power to the music of Australian veterans. The 15-inch woofers delivered nicely extended, punchy and well defined bass. It was supported with a detailed, transparent midrange (in this case – mostly vocal), and a very clean, airy treble. It seemed that 10W was more than enough to control all that energy and to delivered it in an orderly, uncolored way. In fact I liked SoulNote's performance in that kind of music so much that instead of moving on to more “suitable” music genres I continued with more AC/DC, Aerosmith, and good, old Guns'n'Roses (not the latest crap if you know what I mean). In each and every case it was a real fun to listen to. I was pumping up volume (of a kindness of my heart obviously, to share this joy with others), feeling the rhythm and simply having a great time. After all that rock craziness delivered mostly from non-audiophile quality recordings (although I had to admit that 24/44,1 Pump from HDTracks sounded significantly better than others) I moved to Lee Ritenour's Rhythm Sessions.